How to Fix "Publisher ID missing from ads.txt files" Error? 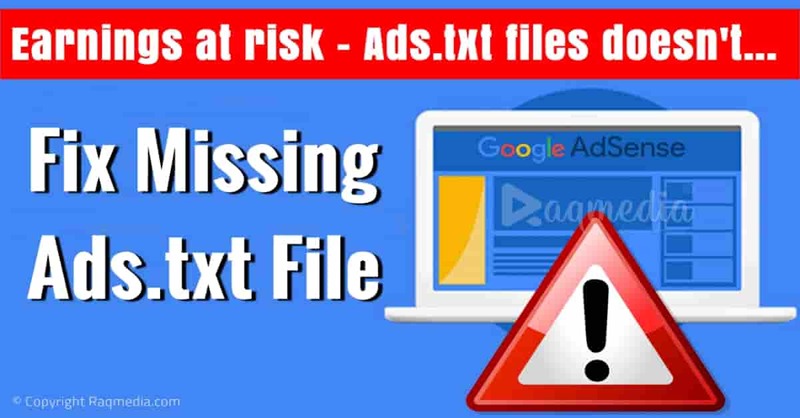 As we all know recently most of AdSense users and creators have received the message "Publisher ID missing from ads.txt files." Here you need to take action to avoid ads not displaying in the future. Actually this is a security measure to avoid your ads or publisher Id to appear in other sites you don't authorize. This measure is made by Google Adsense which helps publisher to make sure that ads or their publisher ID appears only on the verified websites. First of all, you need to check the website in which you are using and verify it. Simply click on the action button and this will take you to the page to deal with the problem. From search preferences you get into monetization. Add your Id publisher and code to the box and click save. You need to consider that if you have already done this on your website you should allow Google system up to 24 hours to reflect changes and for this message to disappear. It will not disappear instantly so just allow it 24 hours at least to fix your issues in Adsense and continue enjoying and getting your revenues as before. Now, after we have had a general idea about this error message, let's learn how to fix AdSense missing ads.txt file notifications. To do so just follow our step by step guide below.